DHS Bihar Recruitment 2018-137 Nurse, Medical Officer Posts-DHS Bihar (District Health Society Rohtas) has recently published a notification for 137 Nurse, Medical Officer Posts. 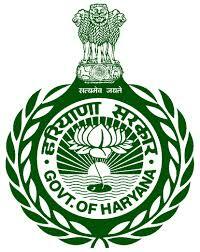 DHS Rohtas Recruitment 2018 notification issued for 137 Assistant, Para Medical workers, APHC, STLS (TB) Grade-A Nurse posts. District Health Society, Rohtas, Bihar has already started accepting offline applications. Admirers need to submit their forms physically to the department before 11th August. To pick put best candidates, no examination will be conducted while the selection will be made on the basis of merit as per academic marks. Apply offline application form official website. Eligible candidates can apply offline application form starting date form DHS Bihar vacancy is 25-07-2018. Last date for offline DHS Bihar Form is 11.08.2018. DHS Bihar Vacancy 2018 Age Limit-Candidates age limit 18-45 years post-1/ 65 years for post-3/ 45 years for post-4/ 18-64 years for post5/ Age relaxation has been given according to government rules and regulation. DHS Bihar Recruitment 2018 Education Qualification-Graduate Degree/ 12th/ MBBS or its equivalent degree from any recognized University or college. To know more about this recruitment visit official website as mentioned here.